Gifts from the Pirates: "Remaining childish is a tremendous state of innocence." "Remaining childish is a tremendous state of innocence." Warning the following post includes fully grown adults acting like children, in Ikea!!! When we decided that i was going to be the stay at home parent the first 6 months were a little lonely. Yes i had my best friend permanently attached to me and watching him develop day by day continues to blow my mind but ill be honest, back then the conversation really wasn't that riveting. Some days i was just longing for adult conversation or pining after Mrs M to come home from work so i could feel human again. I know that probably sounds awful but that's just how it was sometimes. As we began to venture out of our comfortable little bubble where the only inhabitants were us i was wary about letting people in. I had been let down by many people in the past so my guard was definitely up. going to toddler groups and usually being the only dad there was daunting at first and there were a few classes we attempted to go to where we were made to feel quite unwelcome. But we persisted and were rewarded with some pretty great people to hang out with. Over the last few years we have built a small army of great friends and i feel like the more trusting side of me has returned. 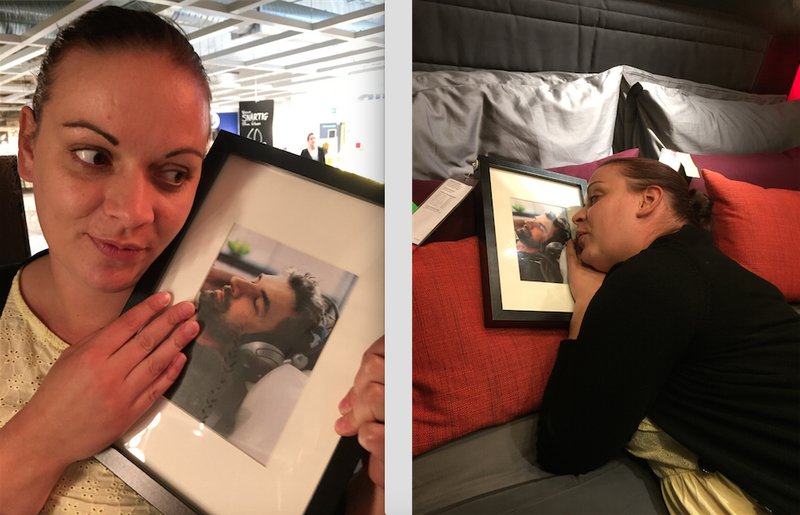 Ive talked about many of our friends on here but as i ran around Ikea last week acting like a big kid i realised that two of the people i hang out with a fair bit have had a bit of a bum deal on the blog so i thought id drag them into the limelight. Tabiitha and Dawn have been awesome, If you're a parent with children at school you will more than likely have a lot of parents that you say hi to every day and have no idea who they are or what they are like, well Dawn was one of mine. She was the first person i ever spoke to in the school playground and although we didn't speak properly again for two and a half years we said "Hi" every day. We eventually started talking and became friends and Tabiitha joined the team, we had plenty to talk about with her being from Birmingham originally too, although she still pines after Brum and i couldn't wait to see the back of it. Since then our friendship has blossomed and i feel really lucky to have met the both of them. They were unexpectedly there for me and Mrs M when we really needed someone and it meant so much to us when they jumped to our aid. I know that this sort of post isnt usually the sort of thing i write about but as the blog is a diary for the boys to look back on i think it is really important for them to know who has had a big impact on us or has helped us out along this awesome parenting journey. It's lovely to know i am at a point in my life where i am surrounded by great people. Opening myself up to new friendships has definitely made me a better person and this new found 'welcoming people into our life' has had a positive impact on Opeie. He still has his innocence and it'll be a long time until his views are jaded by not so friendly people but he needs to learn that friends are important and when you care about your friends you'll do anything for them.